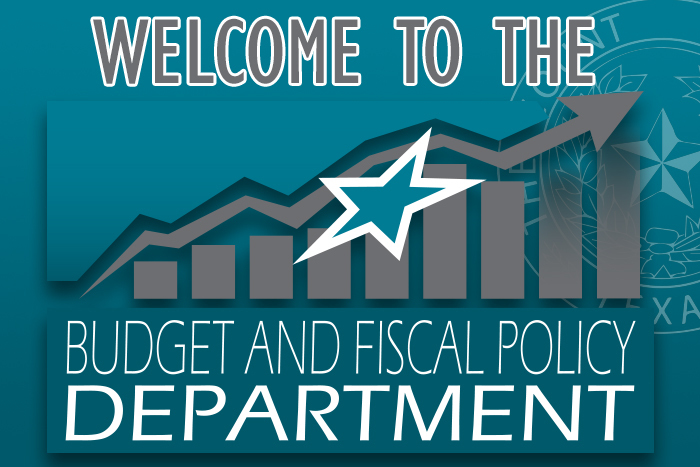 The Office of Budget and Fiscal Policy strives to ensure fiscal transparency and accountability, and to promote the linkage of the budget process with the strategic plans of the Commissioners Court while simultaneously managing County resources and meeting the needs of our growing community. 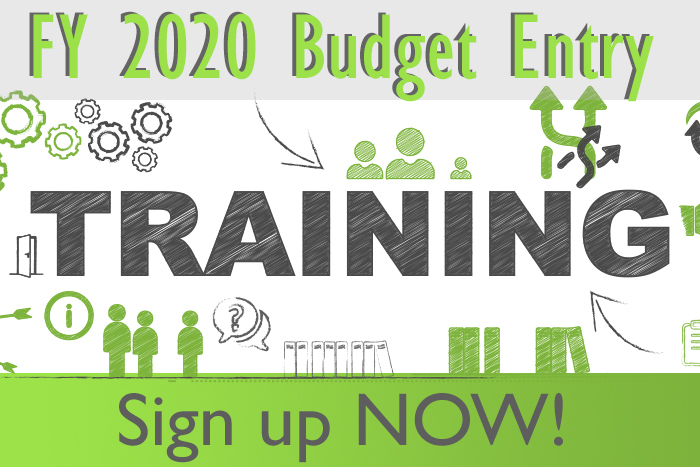 The Office of Budget and Fiscal Policy is responsible for preparing a proposed County budget that reasonably illustrates actual or estimated expenditures as well as resources for current and future years. This includes coordinating departmental workshops and preparing annual fiscal and budget policies and procedures, providing guidance and advice to all County department managers, elected officials, and department heads on the financial condition of their respective departments. The Budget and Fiscal Policy Department also works closely with the University Medical Center (UMC) and the Emergency Services Districts (ESDs) No. 1 and 2 with regard to their annual budget and tax rate requests. We also assist with special budgetary requests and monitor staffing levels and personnel-related spending. We look for innovative approaches to ensure timely and complete collection of County revenues as well as collaborate with County administration and County departments on the conduct of cost/benefit studies and assisting departments in determining ways to increase efficiency and effectiveness throughout County operations. This collaboration with all County departments includes the development, collection, and reporting of performance measures that will provide us with the data to make future meaningful resource allocation recommendations. 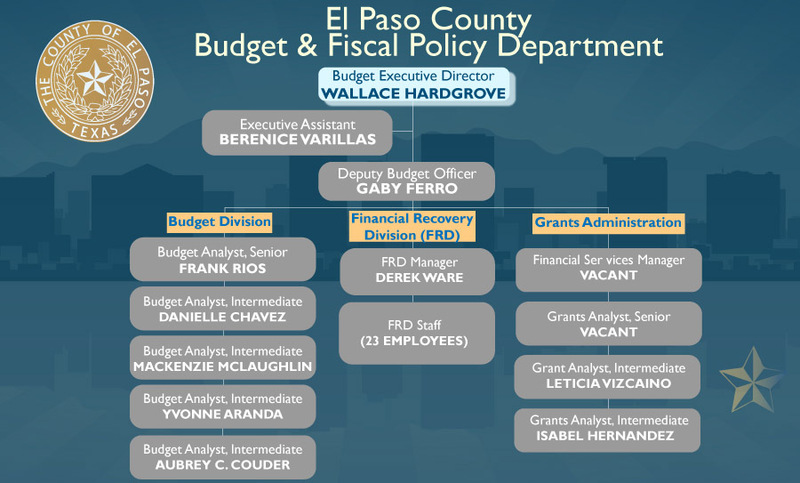 The Budget and Fiscal Policy Department began managing the Financial Recovery Division in 2015. This division is responsible for recovering monies assessed by court order to assist in collecting revenue due to the County and taxpayers in a cost effective manner. 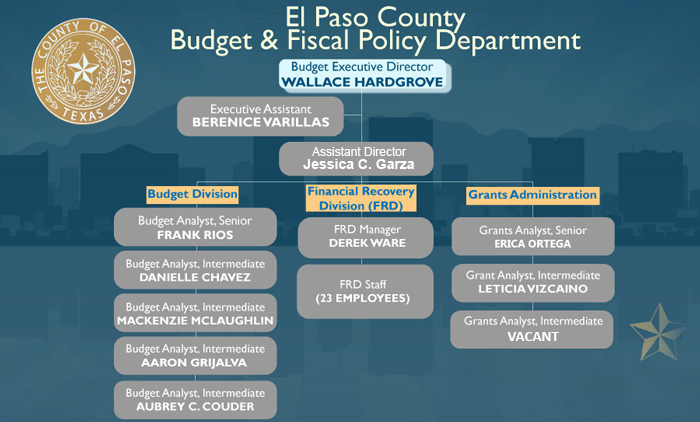 In addition, effective 2016, the Grants Administration Division was made part of the Budget and Fiscal Policy Team. 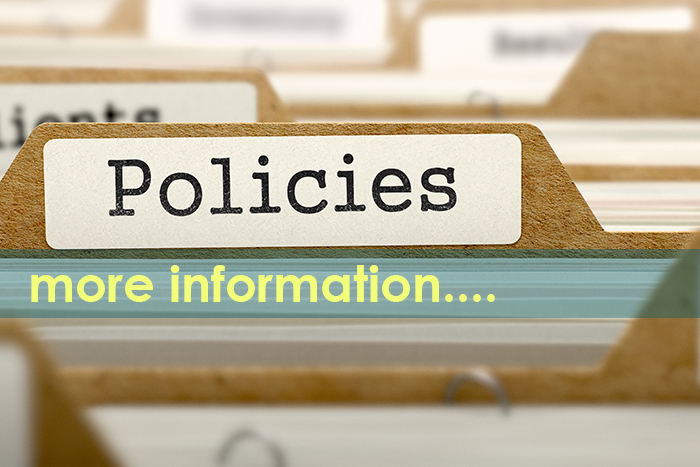 This department is in charge of identifying funding sources, placing priority in applying for, administering, and managing grants that are in alignment with the County strategic plan.